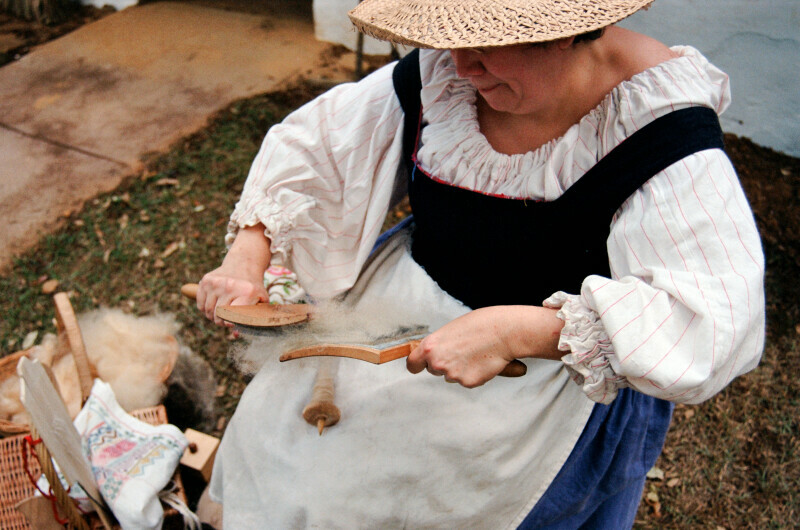 A costumed interpreter demonstrates the preparation of wool fibers by hand carding. Carding cleans the wool and aligns the fibers. She is dressed in a large sunhat and antique clothing.